The Los Angeles Sheriff’s Department, Special Victims Bureau is asking for the public’s help with any information regarding the abandonment and endangerment of a newborn baby girl. The baby was buried alive on Friday evening near a riverbed located between 136th Street and Slater Avenue, in the city of Compton. On Friday, November 27, 2015, around 4:00 PM, Compton Sheriff’s Station received a call for service stating people heard a baby crying in the riverbed, which travels north and south, between 136th Street and Slater Avenue, in the city of Compton. Deputies Perry and Collette responded to the call and canvassed the area. 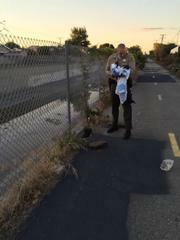 As they searched, deputies heard a baby’s muffled cry and located a newborn baby girl buried alive under pieces of asphalt and rubble inside a crevice located along the bike path. 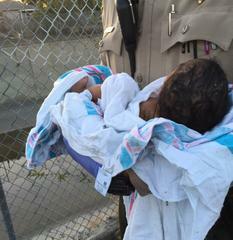 Deputies removed the pieces of asphalt and debris and rescued the baby from the crevice. The baby was wrapped in a blanket and cold to the touch. They checked her vital signs and called for paramedics. 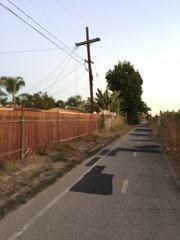 The baby was medically triaged at the scene by the Compton Fire Department. Thereafter, she was transported to a local hospital where she is currently listed in stable condition and will remain at the hospital for observation. She is believed to have been born within the last 36 to 48 hours. Some parents of newborns can find themselves in difficult circumstances. Sadly, babies are sometimes harmed or abandoned by parents who feel that they’re not ready or able to raise a child, or don’t know there are other options. Many of these mothers or fathers are afraid and don’t know where to turn for help. The Los Angeles County Sheriff’s Department - Special Victims Bureau is tasked with investigating the sexual and physical abuse of children and felonious sexual assaults involving adult victims. Anyone with information about this crime is requested to contact the Los Angeles County Sheriff’s Department - Special Victims Bureau at (877) 710-LASD (5273). If you prefer to provide information anonymously, you may call "Crime Stoppers" by dialing (800) 222-TIPS (8477), or texting the letters TIPLA plus your tip to CRIMES (274637), or by using the website http://lacrimestoppers.org.